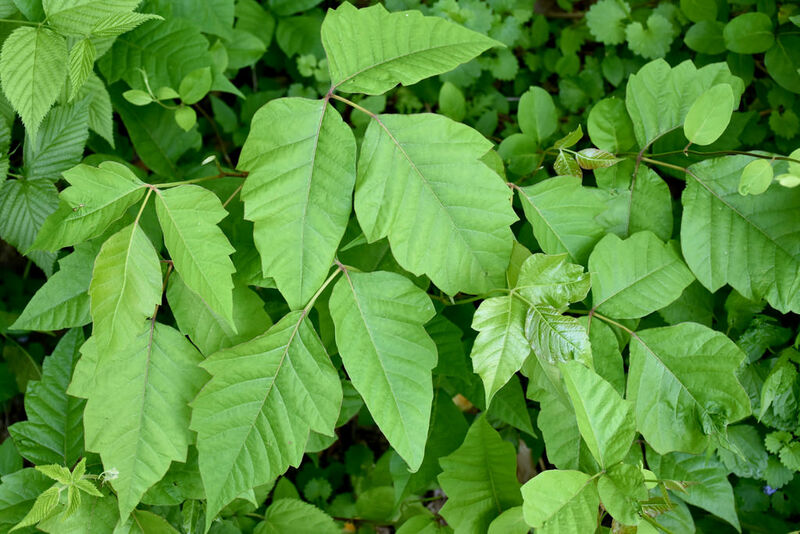 Eastern Poison Ivy Toxicodendron radicans (Linnaeus) Kuntze Synonyms: Eastern Poison-ivy, Poison Ivy, Rhus radicans, Rhus toxicodendron, Toxicodendron radicans ssp. 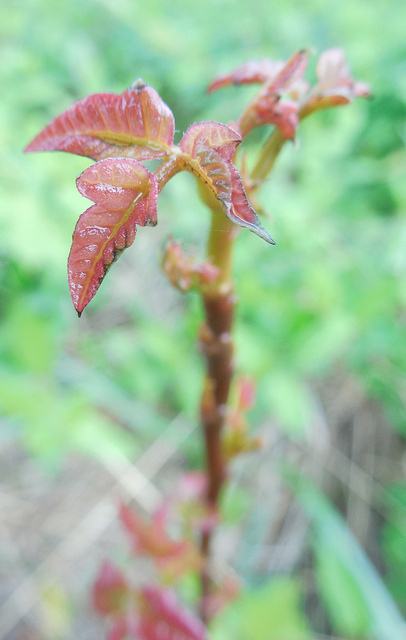 radicans. 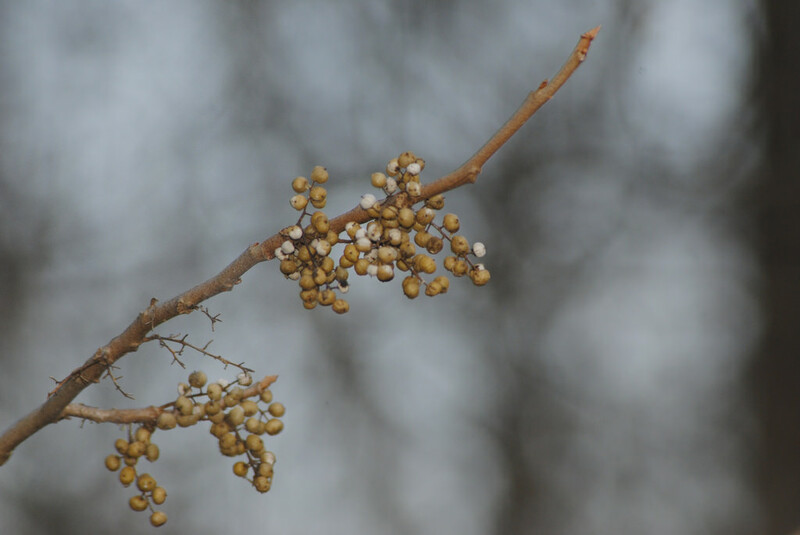 Berries are an important food source for many songbirds. 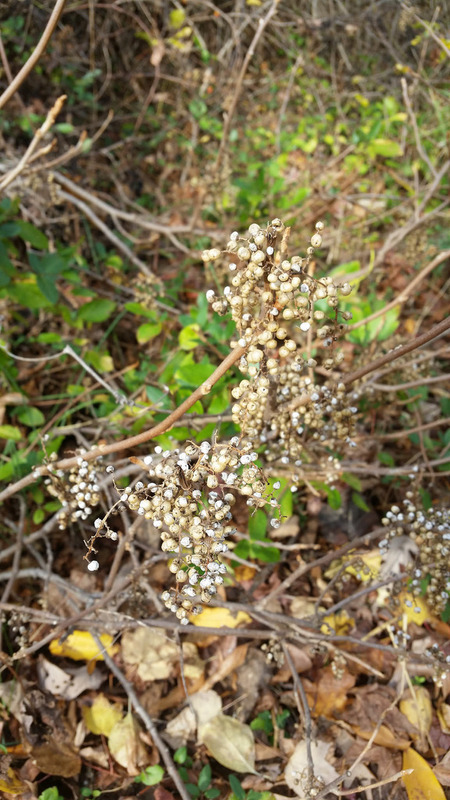 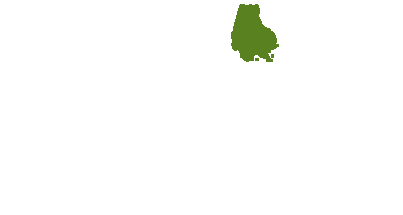 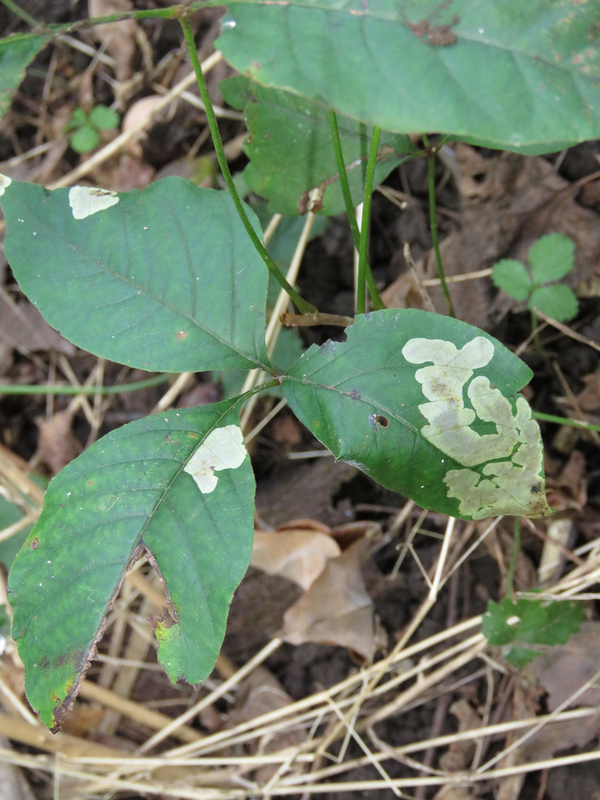 A host plant to various moth species including Dark Marathyssa Moth, Sumac Leafblotch Miner Moth, Cameraria guttifinitella (Database of the World's Lepidopteran Hostplants). 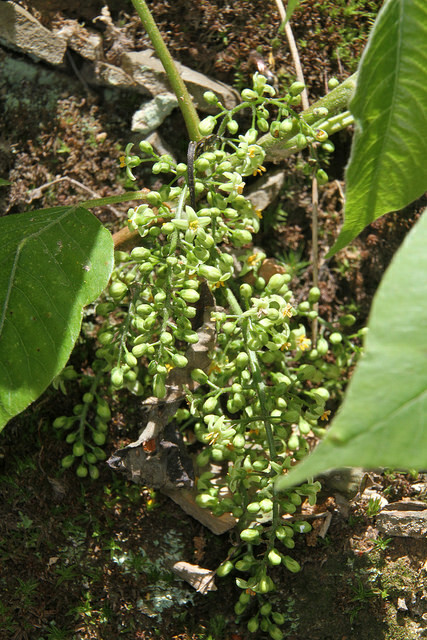 Host plant to the leaf beetle Pachybrachis tridens. 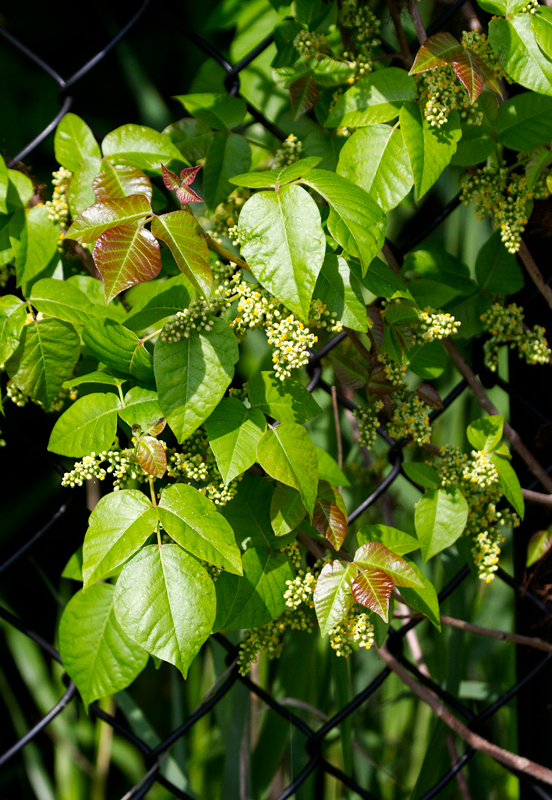 Host plant for Poison Ivy Sawfly. 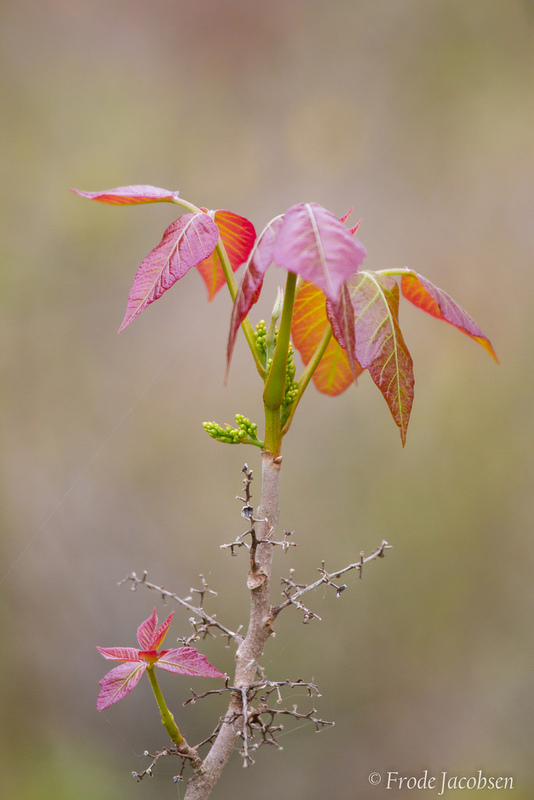 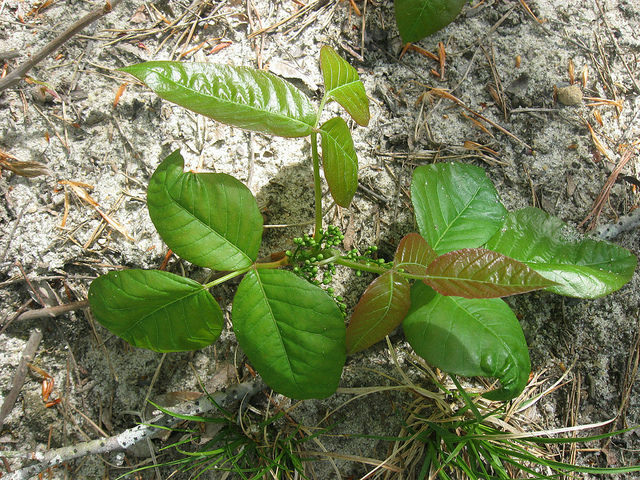 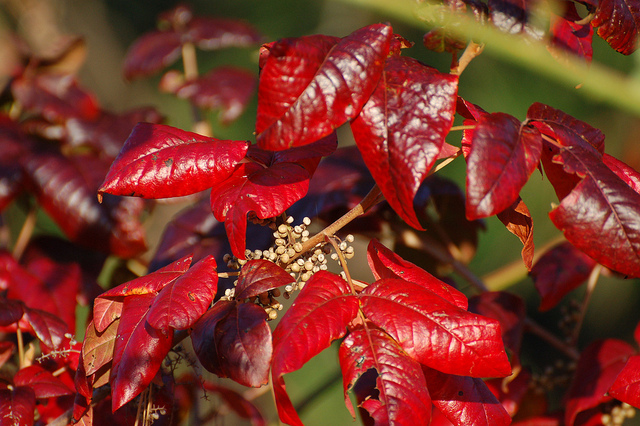 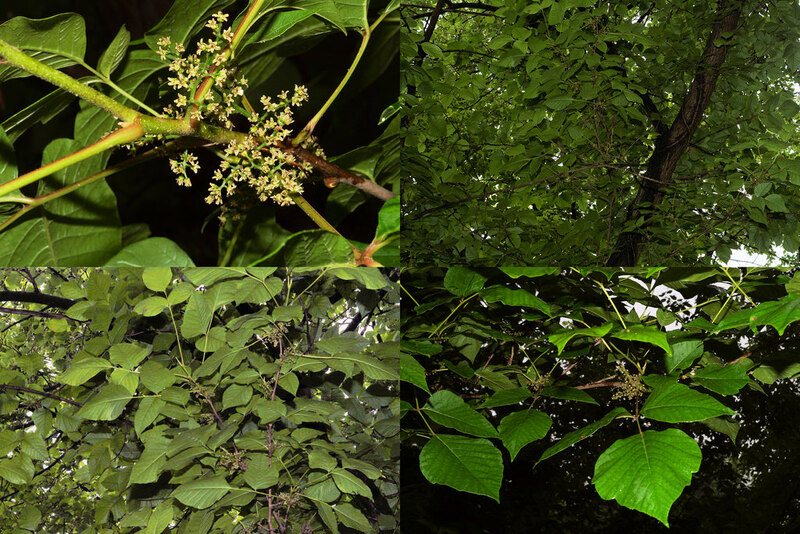 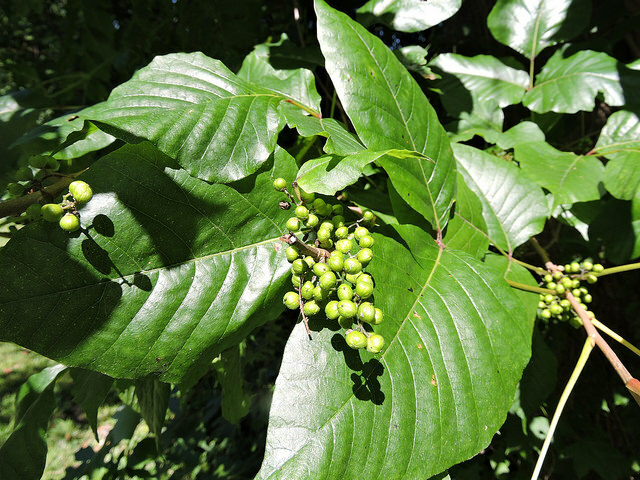 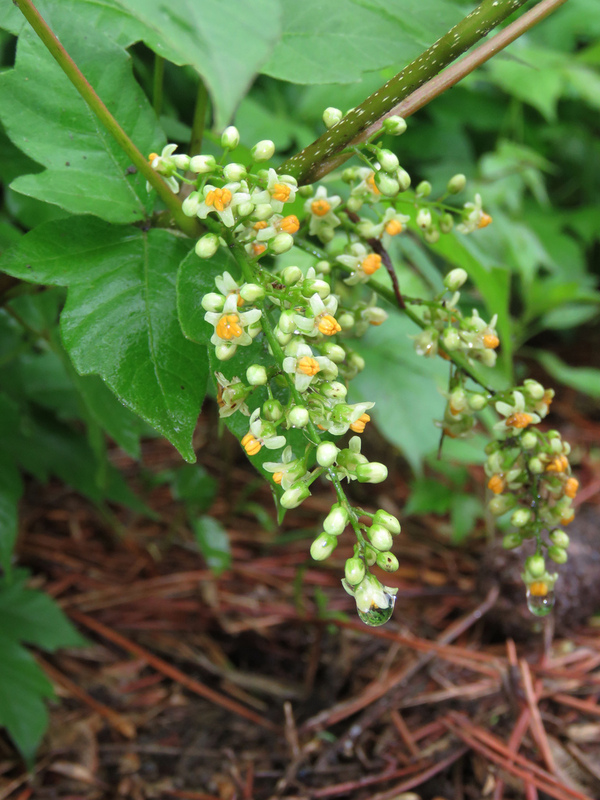 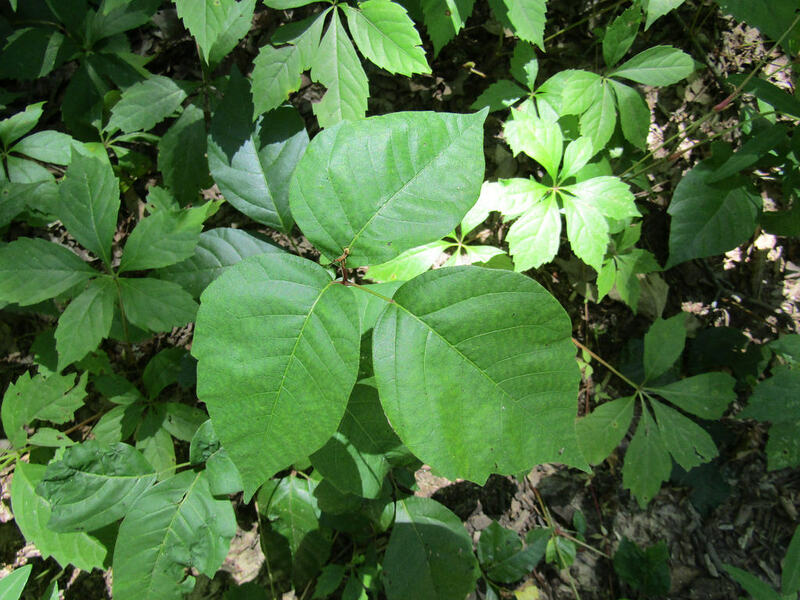 Host plant for the Poison Ivy Leaf Gall Mite. 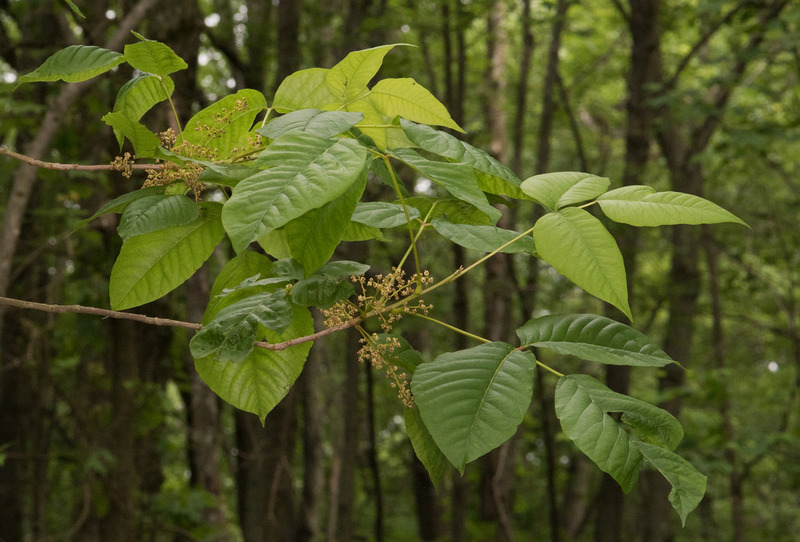 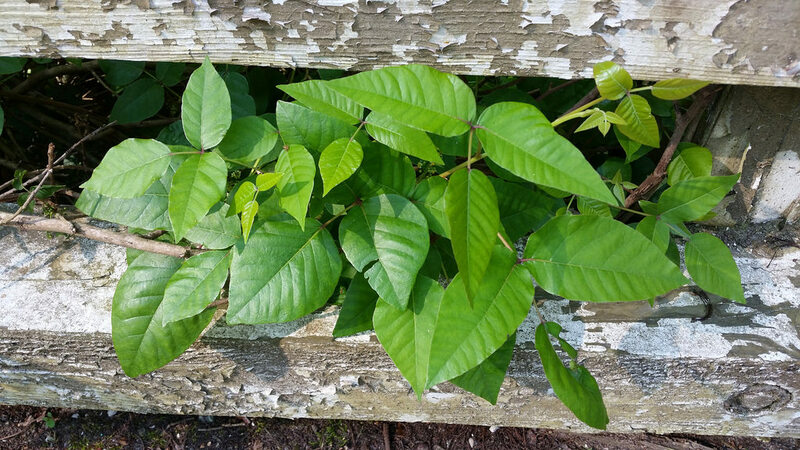 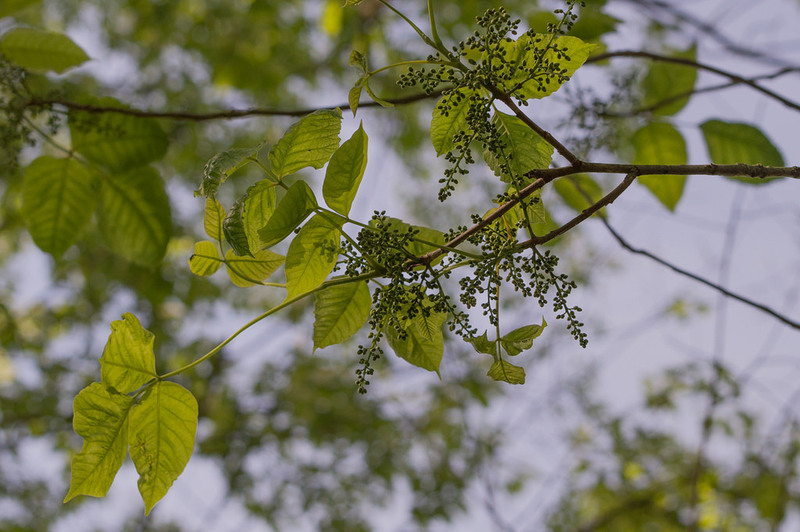 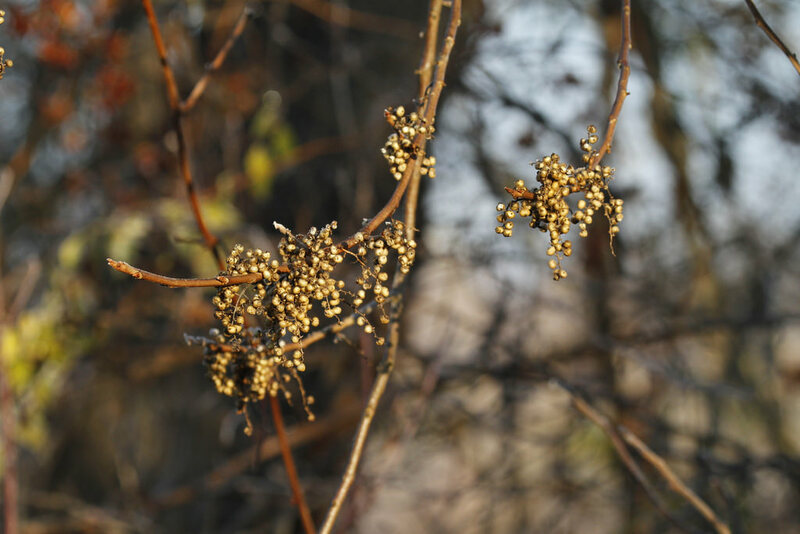 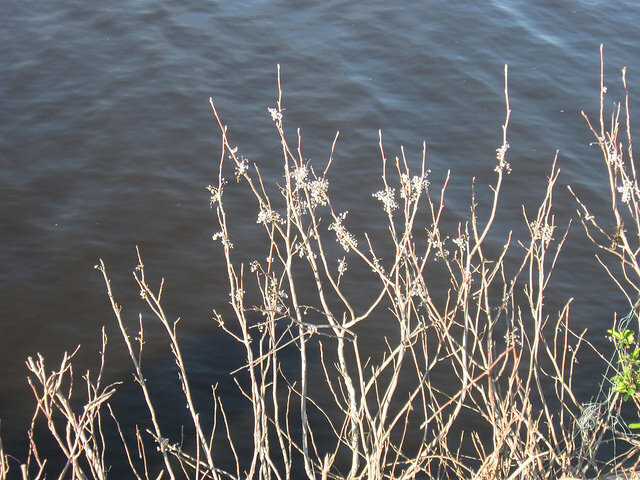 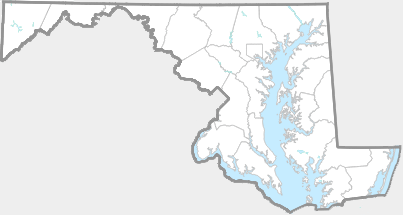 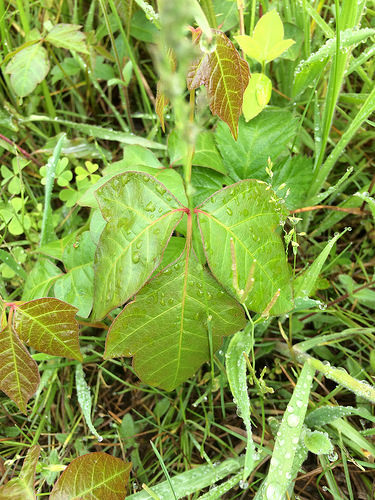 Although all parts of Eastern Poison Ivy can cause a contact dermatitis in people, it's best to leave it alone if it is growing in a place where people are not likely to come in contact with it. 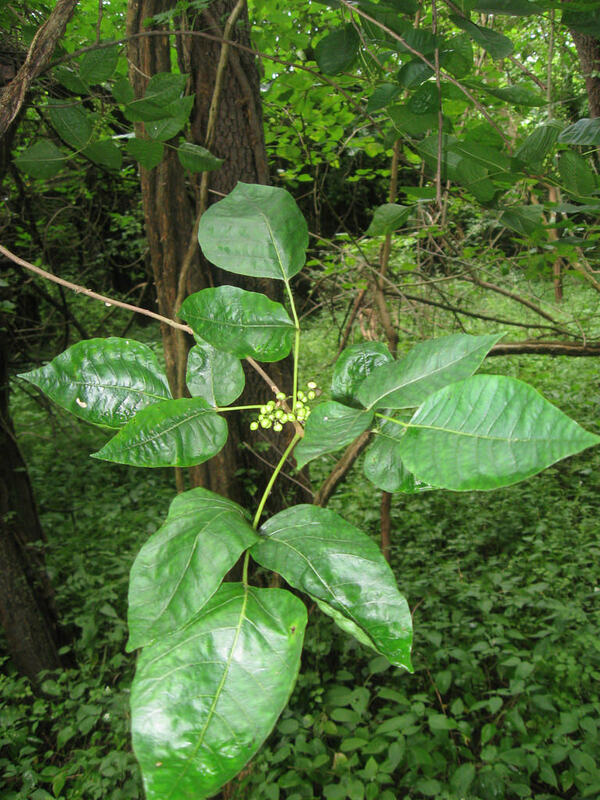 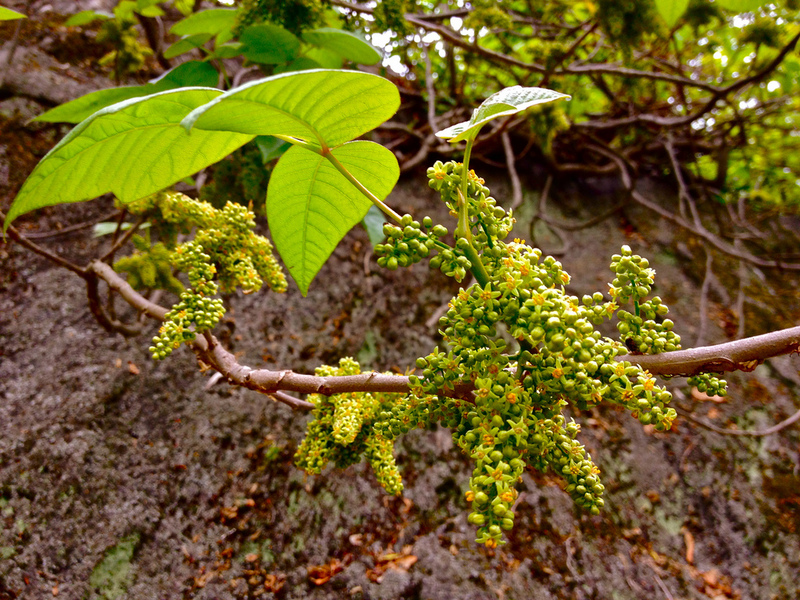 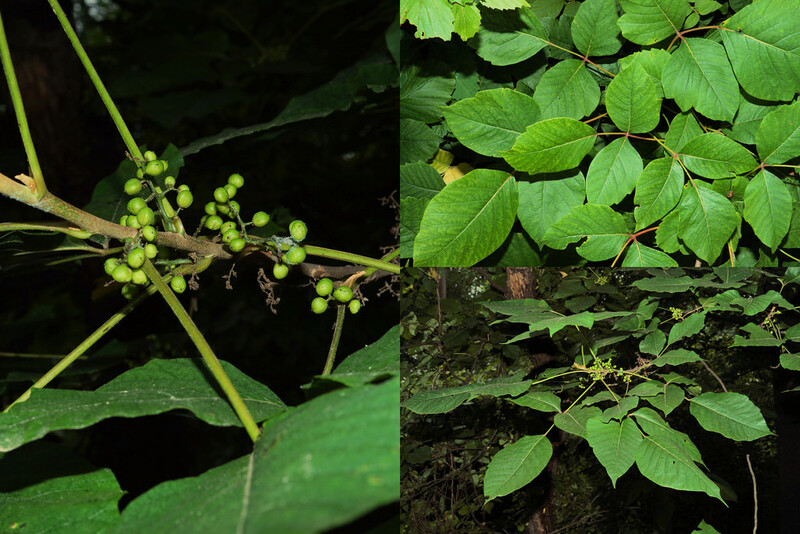 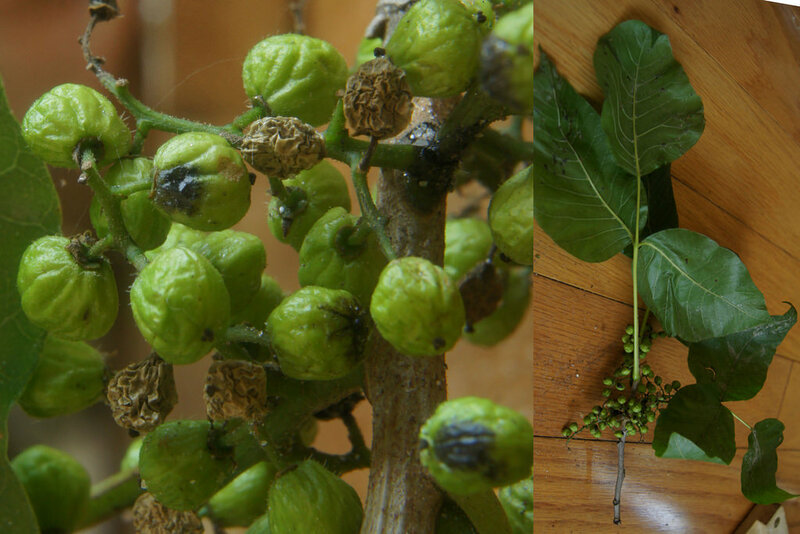 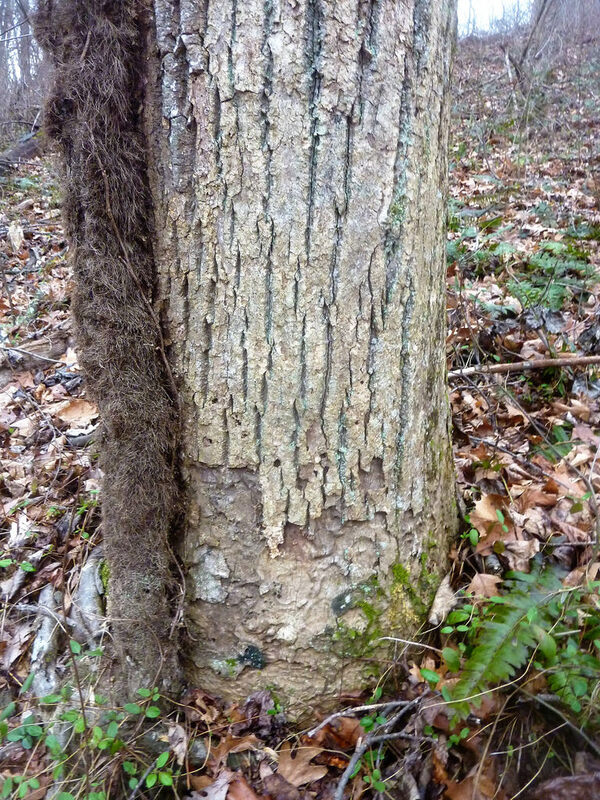 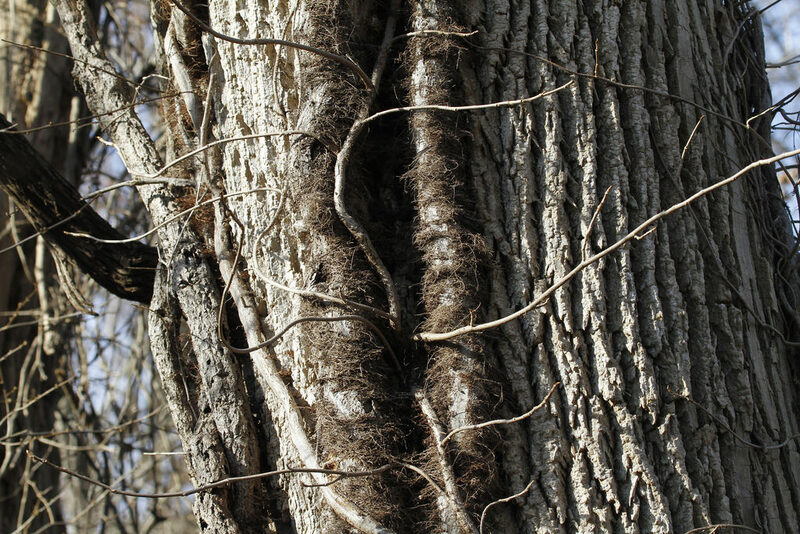 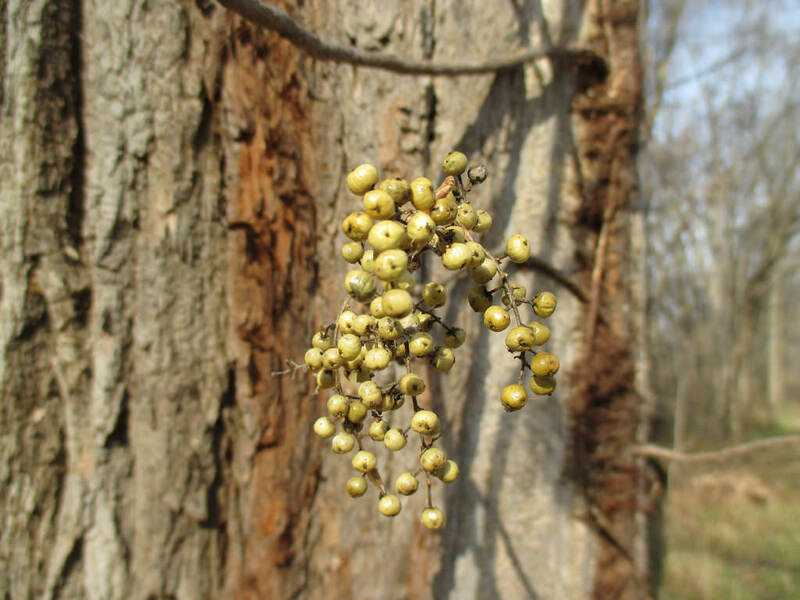 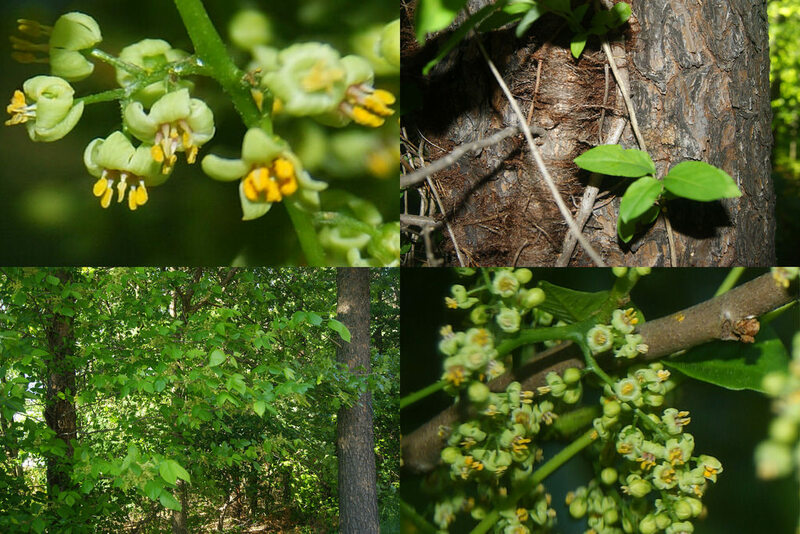 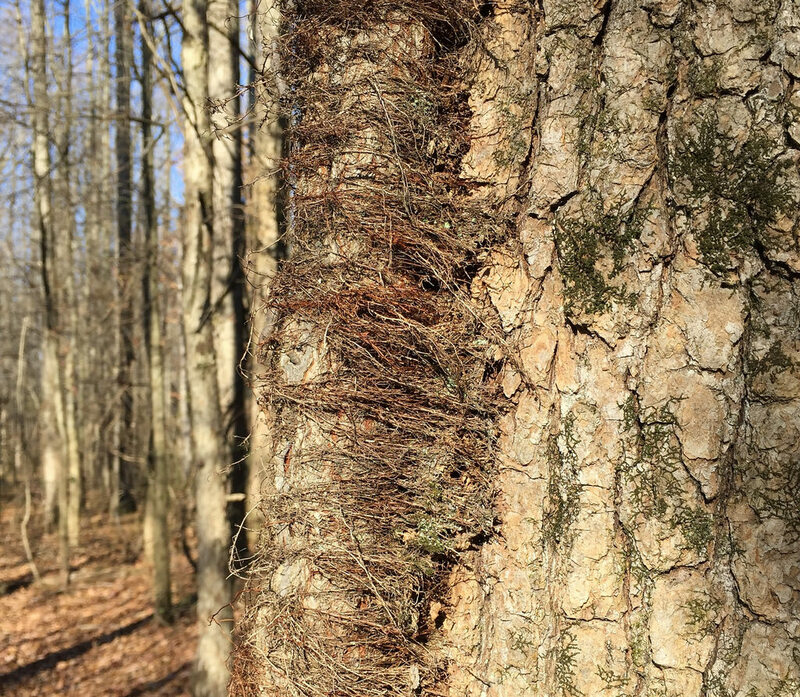 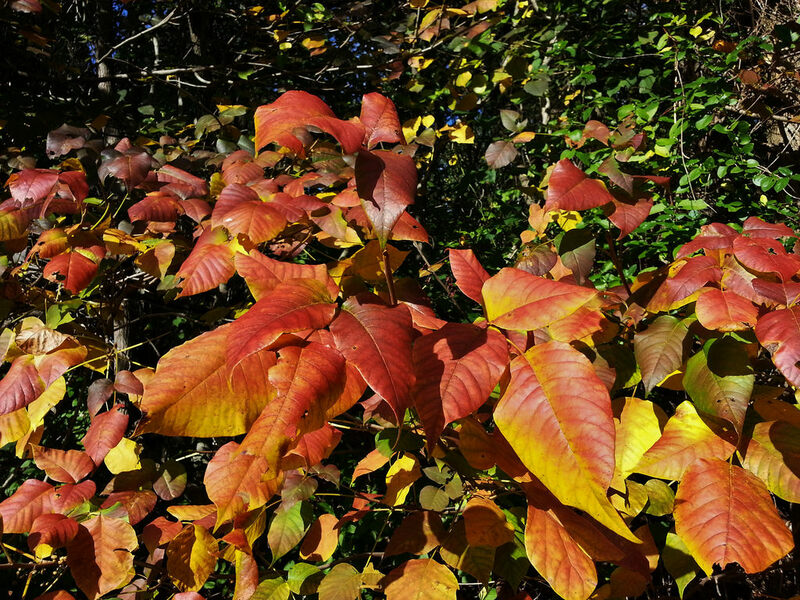 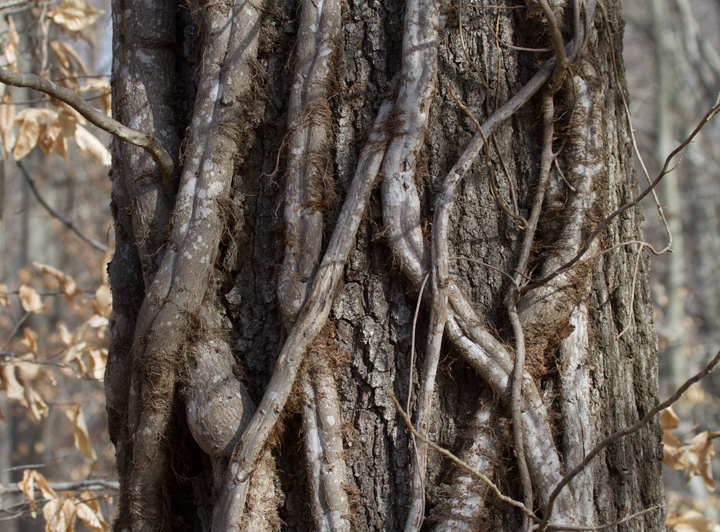 Well-intentioned people often cut it down in the mistaken belief that all vines are harmful to trees, but only the non-native vines pose a real threat (J. Hill/MNPS). 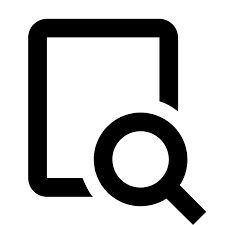 There are 725 records in the project database.